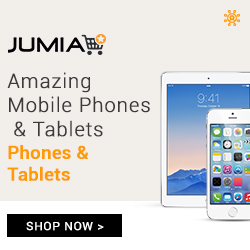 Nwanyi Ocha, this is a word steeped in the language of the Eastern people of Nigeria. It literally means white woman. And just like its meaning, this name rightly belongs to a foreign woman who hails from Switzerland and a blogger. 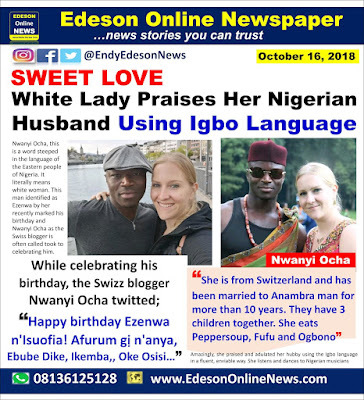 The Swiss lady who has been married to her Nigerian spouse for more than ten years has birthed three adorable children from the relationship. She has also assimilated herself into the culture, fashion, tradition, mannerisms and language spoken in Isuofia, Anambra state where her husband hails from. It is not a rare sight for her to share videos and photos of herself, husband and children dressed in the native Eastern way. She listens and dances to Nigerian musicians, eats peppersoup, fufu and ogbono, and even does artworks that embody the culture from that part of the world. 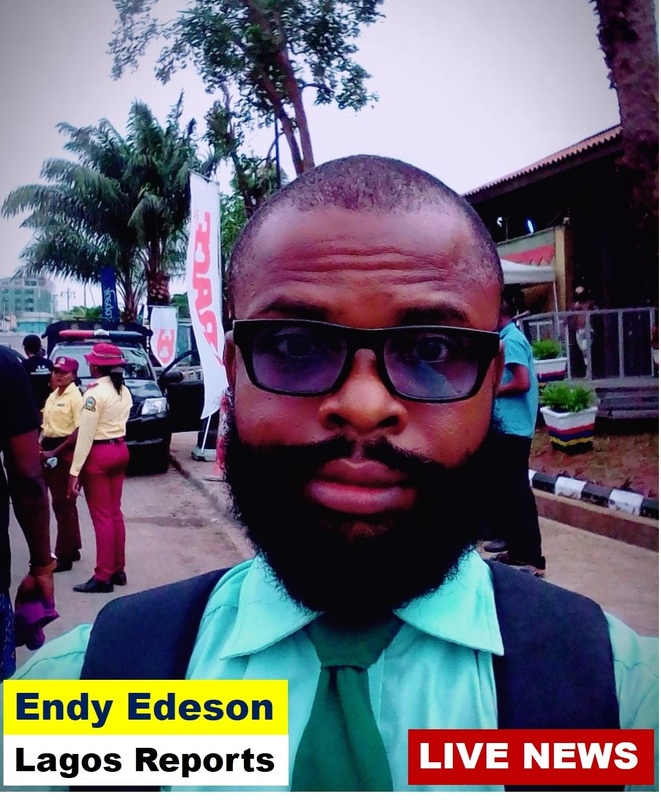 This man identified as Ezenwa by her recently marked his birthday and Nwanyi Ocha as the Swiss blogger is often called took to celebrating him. Nwanyi Ocha spared nothing in wishing her husband a happy birthday. She took to her Twitter page to give him a warm, befitting celebration. Amazingly, she praised and adulated her hubby using the Igbo language in a fluent, enviable way. 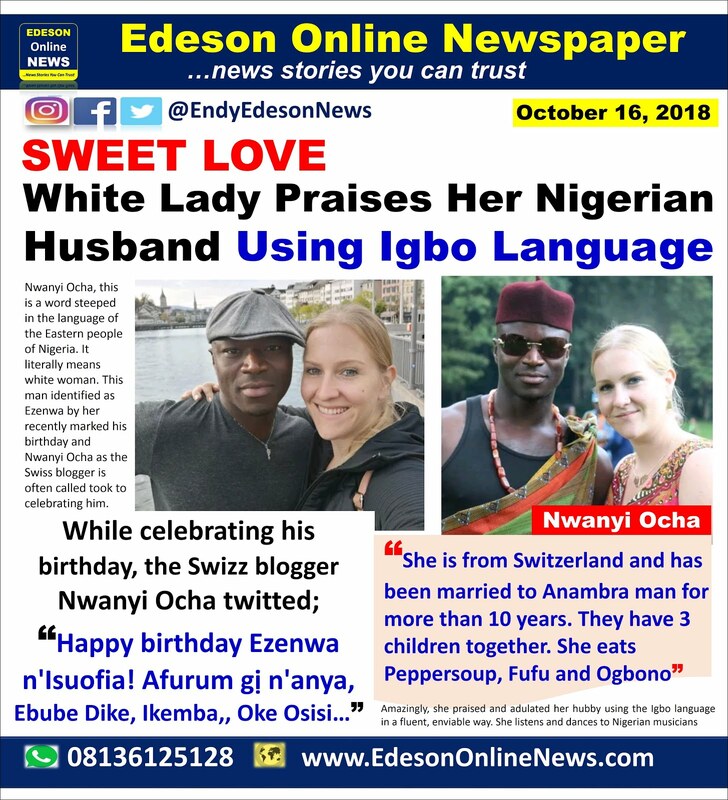 The European Nwanyi Ocha praised her Ezenwa, her Dim Ocha in a special kind of way that expressed her intense love for him. "Happy birthday Ezenwa! If I had the power I would give you "Ebube Dike", "Ikemba", "Ochiri Ozuo", "Ome Lo Ra", "Oke Osisi" and many more titles. But since I don’t, let me just acknowledge you for who you are: Dim oma. 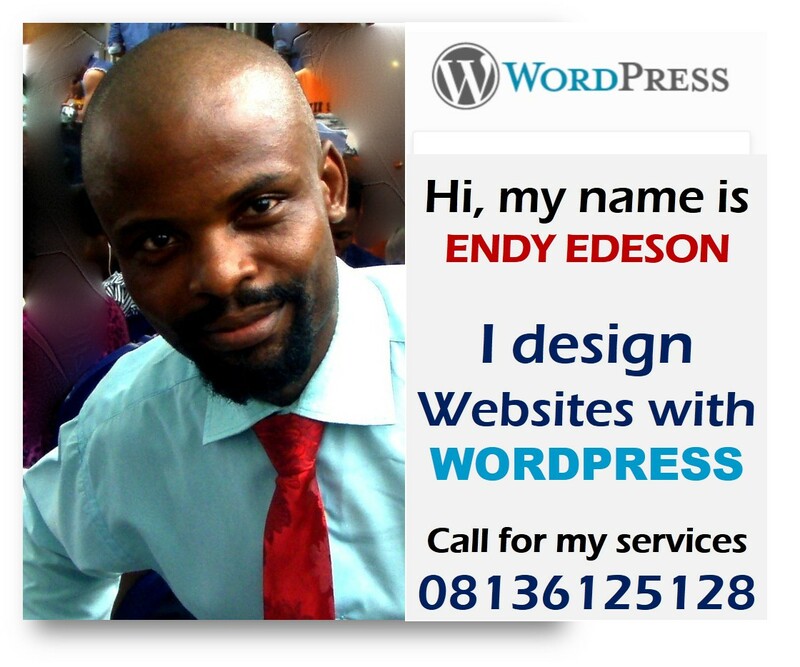 Happy birthday Ezenwa n'Isuofia! Afurum gị n'anya."